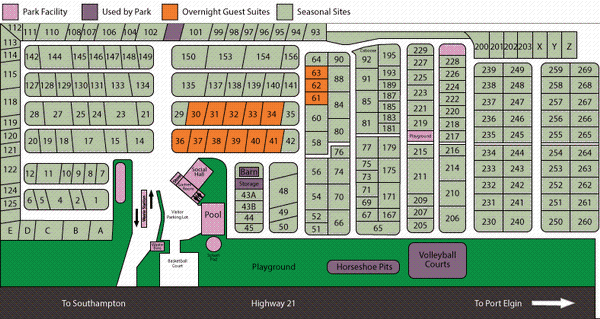 Kenorus is a family campground nestled among maturing trees located on Highway 21 between the quaint towns of Southampton and Port Elgin. 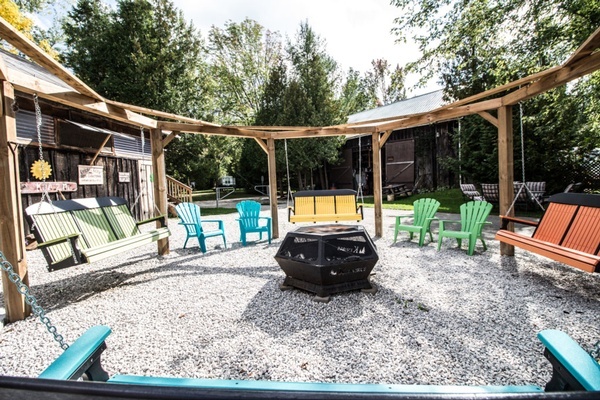 The campground features fully serviced sites, firepits, pool, recently expanded children's playground, showers, sewer outlets and dump station. Campers are invited to enjoy organized events throughout the season. We are close to the Rail Trail and clean, sandy beaches. Leashed pets are welcome. Credit cards accepted. Relaxed coastal camping awaits you.